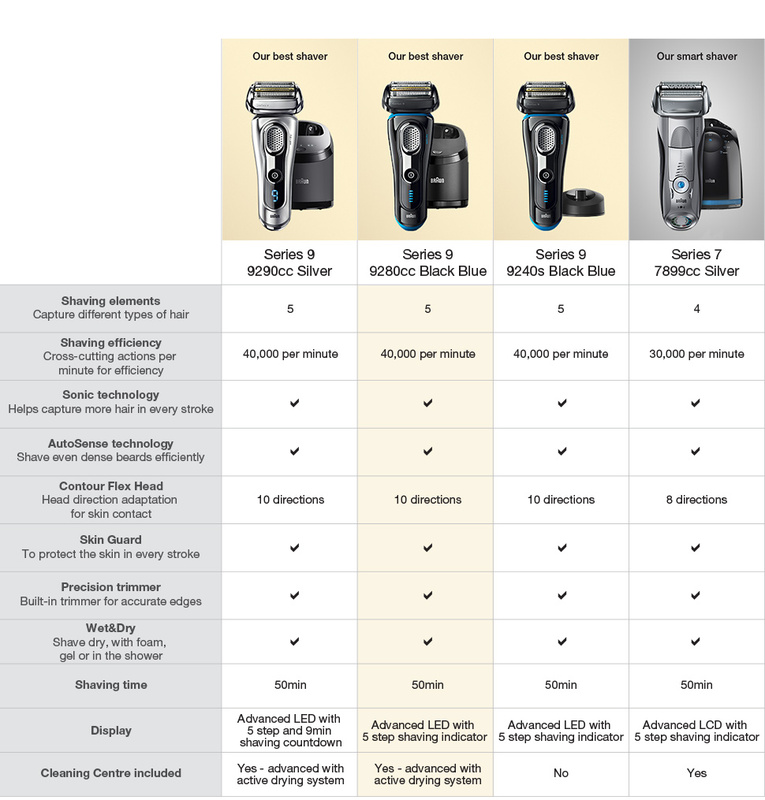 Series 9 Wet/Dry Electric Shaver Black plus Clean&Charge Station & Travel Case is rated 4.6 out of 5 by 44. 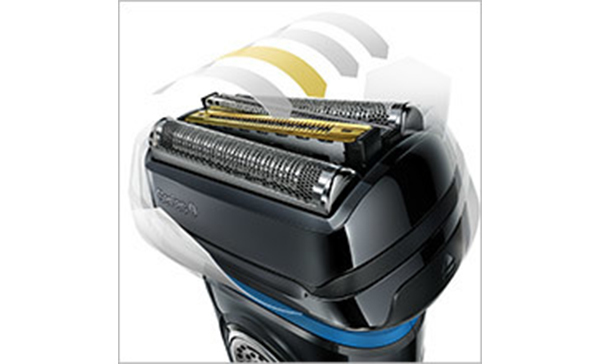 Rated 4 out of 5 by Panis08 from Close, comfortable and quick shave. I use this shaver every second day. It’s extremy comfortable, in that you don’t need to apply too much pressure and it has a nice smooth feel against your skin. I found if fast to use, I was done in under 5 minutes. The results are as if I had used a razor after not having shaved for a week or so. My skin feels incredibly smooth, can’t feel any stubble, even in troublesome areas under the neck. 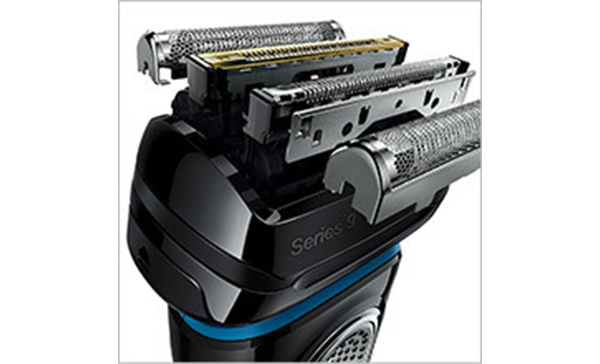 I have really sensitive skin and I find this shaver amazing. So far I have just used the brush and rinsed the head under water to clean. I haven’t used the cleaning station yet, so I haven’t given this product a perfect rating. The shaver itself I would give a 5 out of 5. It is pricey, but if you shave daily I would recommend this shaver. Rated 4 out of 5 by Darren from Good features & feel, but beware coarse neck area. Been using this a few weeks now and it is great around nose, lips, side of face but refuses to pick up my stubble even when shaving daily around my neck. Mind you this area on me has really thick heavy hairs that seem to grow super fast. It will suit an average person great but if you have similar thick neck hairs be prepared to use a normal razor in this area. Automatic cleaner is great and always smells nice and lemony. Feels really strong and is very well built. Rated 5 out of 5 by MAD48 from Fantastic Wet & Dry Shaving I received my new Series 9 shave over three weeks ago & now use it on a daily basis. O.M.G amazing to say the least. I have struggled for years to find a daily shaver that doesn't leave razor burn around my neck area. And Braun you have done it, thank you so much. So good under the shower in the morning's with a little foam & in minutes smooth as. 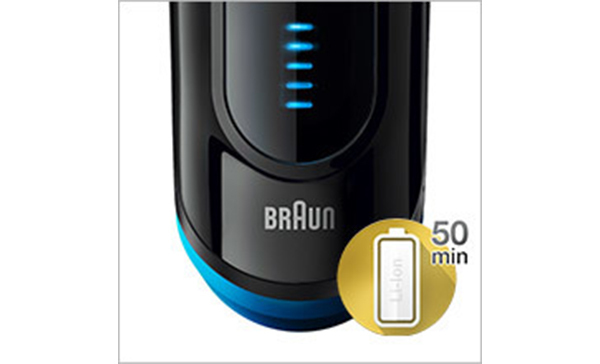 I wont buy anything else but Braun, this product is just so amazing i cant rave more about it. Rated 5 out of 5 by ayjae46 from Very smooth razor This is my first time back with an electric razor for over a decade. I had the equivalent top of the line Braun many years ago which was great for it's time but did leave a couple of patches cut, but not competely shave. A decade later and I'm very impressed at the updates in technology which has made this a perfect shave. I also have sensitive skin and this did not irritate my face one bit. I highly recommend this shaver. Rated 5 out of 5 by Zolous from Braun - Series 9 Wet/Dry Electric Shaver Black I bought this shaver last month to replace a Braun Series 8 which I had for over 10 years. This product is a huge improvement on previous model and gives me a much closer and cleaner shave all over, including tricky areas under chin and neck below the chin, which previously was always difficult to get to. I only use it dry, but would highly recommend it for anyone looking to buy a new shaver. 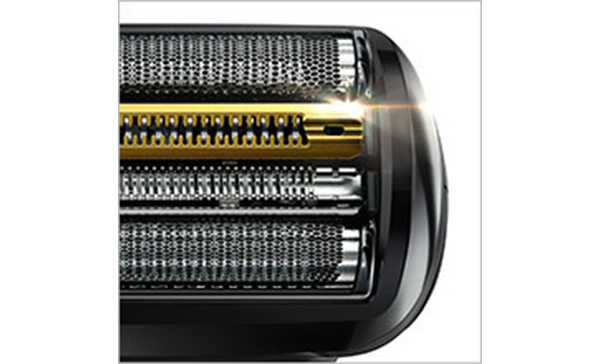 Rated 5 out of 5 by Ives from A brilliant shaver in every way The Shaver Shop delivered my husband's shaver in a flash - amazing service. 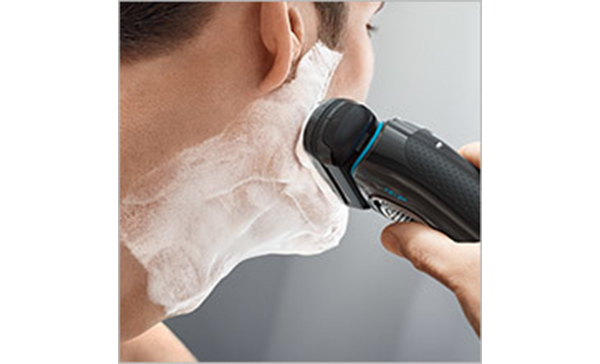 The shaver is brilliant, wonderful for sensitive skin, delivers a really close and smooth shave that equals any razor blade result. Extremely happy with the quality, and the self-cleaning and wet/dry features are a real bonus. Worth every penny! 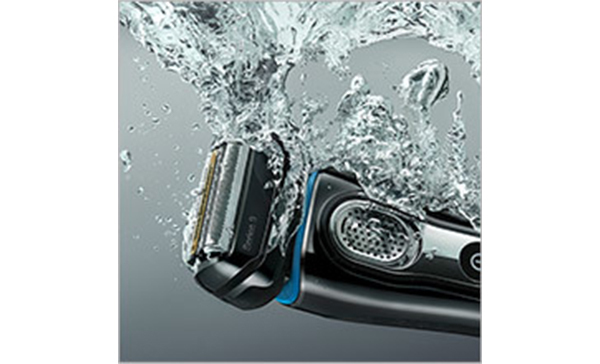 Rated 5 out of 5 by Patrick from Great, close, & comfortable shave I have used my Braun Series 7 for 6 plus years. I thought it was a great electric razor. I got a new Series 9 for father’s day. WOW! It is amazing and even better than my Series 7. Less strokes, quieter, less vibration, closer shave, more comfortable shave, more powerful & hands down the best electric shaver you can buy. Rated 2 out of 5 by DavidT from Disappointing Having had poor results from electric shavers many years ago I had avoided them until now. Unfortunately things have really not improved. Although it reduces stubble unfortunately it is nowhere near a clean shave and after using the shaver I have to go over it again with a regular shaver which defeats the purpose.